Even if you’re a human dictionary, spelling and remembering words in new languages can be a real challenge. 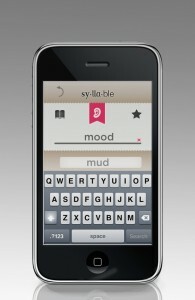 Syllable is an intriguing word game that lets you compete with yourself by spelling words on time. Edutainment is the future of learning. Here we go! Looks awesome. Look forward to playing around with it! Have you looked into Duolingo by Luis von Ahn (creator of ReCaptcha). Could be useful inspiration to you.